Several members of St. George participated as a team in the annual Monroe/Trumbull American Cancer Society's Relay for Life event on June 8th and 9th. This community-based fundraising event also celebrates the lives of people who have battled cancer, and remembers loved ones lost to cancer. 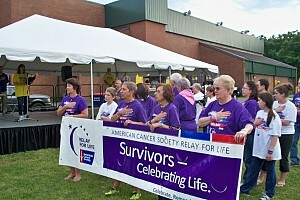 Relay for Life also served as the parish's monthly charity for June. Click on the slideshow link below to view a few photos. 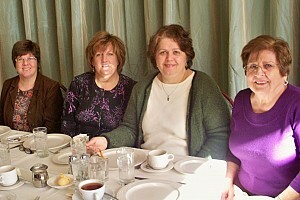 Click on the slideshow link below to view some photos from the Teuta Ladies Society annual post-holiday luncheon at Ralph 'n Rich's in Bridgeport.